For many people, home owners and business owners alike, getting your property insured for the right amount can be tricky. How do you know, as a member of the general public, what it costs to demolish and rebuild your property? Many people simply don’t know the answer to this and often end up mistakenly insuring their property for the bare minimum in order to get what they consider to be the “best deal” available. However, it is not until they have the misfortune to suffer a loss and/or damage, that the reality of this “best deal” is discovered. If the reinstatement value of the property that they have insured is less than what the insurance company considers it should be insured for then any claim settlement with subject to an average deduction for the percentage of under-insurance. Insurance companies use the figures published by the Society of Chartered Surveyors Ireland (SCSI) in order to calculate the reinstatement cost of properties. The figure is calculated by applying a cost per square meter to the total internal floor are of the property. Additions are then made to this for outbuildings, driveways, non-standard finishes, etc. A three bedroom semi-detached property in Dublin is insured by the owner for €150,000 of buildings cover. The house is 95 square meters in floor area and has a block shed in the back garden, solid timber flooring, built-in wardrobes and a high end built-in kitchen. As part of their claim handling role, the Loss Adjuster acting on behalf of the insurance company measures the property and works out the minimum reinstatement cost as per the SCSI guidelines. This results in a reinstatement value of circa €190,000. The insurance company now considers that the property is under-insured by more than 20%. Therefore, any buildings settlement will be subject to a deduction of this amount. Another area that is often overlooked or indeed simply not known by homeowners is the limits that insurance companies place on contents items. 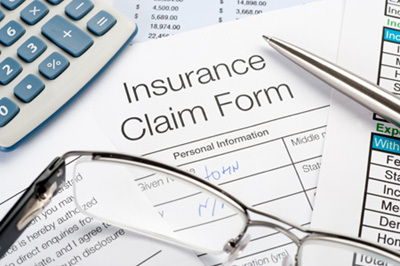 Most policies have limits for the level of cover provided for what is classed as “high-risk” items. Included in this description is jewelry, artworks, collectibles, etc. These items, unless specifically noted on policies, are capped at a collective total, often a percentage of the total contents sum insured with further single article limits also applying. An amount of jewelry is stolen from a property. The value of the stolen items amounts to €20,000. The contents sum insured is €30,000 and a high risk items limit of 30% of the total contents sum insured applies. This means that the most the insurance company will pay for the stolen items is €10,000 as no items were specifically insured. An example of a single article limit is a ring that is valued at €2,500 but not specified on the policy. A single article limit of €1,500 means that the insured will not receive the full replacement cost of the item. The above examples would all be subject to policy excess. Darcy Doyle Loss Assessors have encountered numerous claims for both buildings and contents that have been affected by under-insurance deductions and policy limits. We recommend that when taking out an insurance policy that property owners ask questions of the insurance company as to how best to insure their properties to ensure that under-insurance does not become an issue if a claim occurs. If you have suffered damage or a loss to your property and would like to talk to us about handling your claim, then please do not hesitate to contact us on 01 690 2007 or info@ddla.ie. We are able to advise you on sums insured and policy conditions and ensure that you receive your full entitlement from your insurance policy.